As the Assistant Director of Enrollment, Gina delivers continuous support and guidance across the entire enrollment team. Knowing that our CEA students and staff come first, Gina brings a talent and drive to provide superior assistance and leadership within this organization. Gina has been working in education and leadership for 15 years, with experience in admissions and enrollment, learning and educational development, and industrial and organizational improvements. 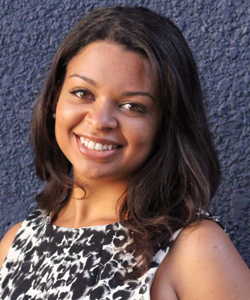 Gina also took her passion for education a step further by co-authoring and designing a college textbook, which is used at colleges across the United States. Gina earned a Bachelor of Arts in Psychology from Washington and Jefferson College in 2003 and began her admissions and enrollment career in 2006 back in Pittsburgh, PA. 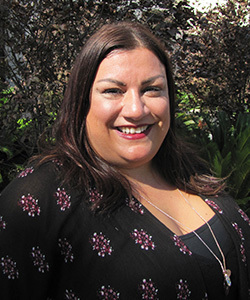 Since then, Gina relocated to Phoenix, AZ, earned a Master of Science degree in Psychology with an Industrial and Organizational Psychology emphasis from Grand Canyon University, and remains a member of the Psi Chi International Honor Society. Gina recognizes the value of higher education and encourages all potential students she meets to pursue their educational goals and dreams! I was born and raised in Chicago, and moved to Arizona in 2007 to finish high school and attend Arizona State University. During my time as a Sun Devil, I participated in a study abroad program in Florence, Italy. Florence will always have my heart; it's an incredibly beautiful city and became a second home for me. Cinque Terre would be next on my list. It's actually five small villages on the coast of the Italian Riviera, all linked together by the “walk of love,” an incredible day hike through all five villages, even for those (like me) who would rather avoid exercise. During my time in Florence, I was able to explore Rome, Venice, Cinque Terre, the Amalfi Coast, Verona, Capri, Milan, and many other small towns across Tuscany. I have fond memories of my time in Florence, and I love to share my passion for exploring the world with my students. One of my favorite memories is of one of my last nights in Florence when all six of my roommates and I hiked to Piazza Michelangelo, a famous viewpoint of the city. We spent the night listening to a street musician and reminiscing over our semester together, before watching the sun come up over the city. My next big travel adventure is Prague—I am drawn to the historic art and architecture the city is famous for. As a CEA Enrollment Operations Manager, my job is to coordinate the CEA scholarship program while working closely with the Academic Affairs and Enrollment Teams. Outside of work I like to spend time with friends, volunteer at an art studio, and watch way too much Netflix. Did you know? Penguins were my favorite animal as a kid, and I would beg my parents to get me one as a pet. One Christmas I got my wish; my parents adopted/sponsored a penguin family for me!